Tracking your finances is almost mandatory in this day and age, and though you may already use a slew of methods for monitoring your expenses, there’s certainly no shortage of quality software designed for staying in the black and providing you with a detailed report from month to month, or even day to day. Most freemium software excels when it comes to barebones budget planning, and provides simple, yet valuable analysis of your spending habits. Here are our picks for the best personal finance software on the market. 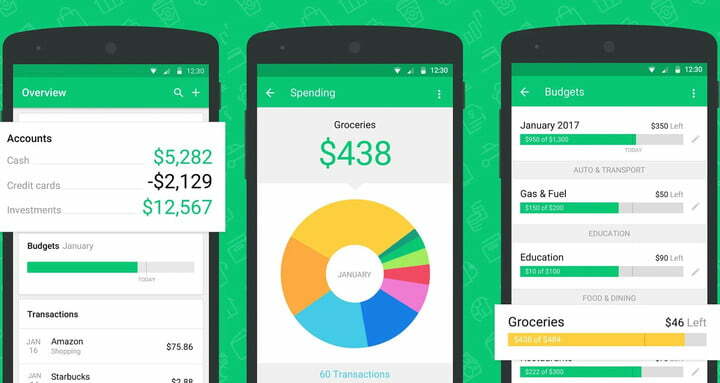 If you’d rather focus on budgeting, there are specialized apps for that too. We also have a guide to the best apps for moving your money around. 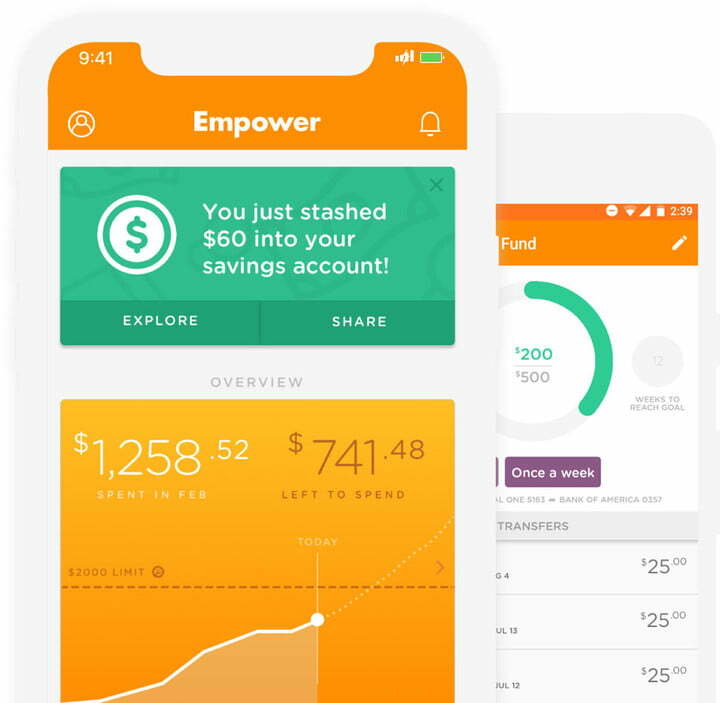 Intuit’s stalwart personal finance service has been around since 2006, quickly becoming one of the go-to apps for those who prefer checking their finances from a phone. The company is known for offering both TurboTax and the like-minded Quicken. That being the case, Mint also excels in terms of customer satisfaction and feedback. The service takes mere seconds to sync with your bank account(s), allowing you view a quick snapshot of your personal finances and providing insightful analytics regarding your spending habits when it comes to food, entertainment, utilities, and other facets of your monthly budget. You can even tailor the app’s underlying budget restrictions to adhere to your own unique lifestyle, or set bill and low-balance alerts in case you often forget the due date for your gas bill. Mint even tracks your aforementioned subcategories to give you an up-to-date picture regarding how much you can afford to spend on gas, fast food, or any other category you specify. Of all the financial management tools out there, Quicken is one of the most established. It’s been around since the early ’80s in one guise or another and is its most fully featured today. It offers budget creation tools, bill management, debt tracking, savings goals, Excel exporting, and investment coaching. Although it isn’t free like some of the solutions on this list, it is available for just about every platform under the sun. You can use it on Windows or MacOS desktop systems, or on iOS or Android for finance management on the go. 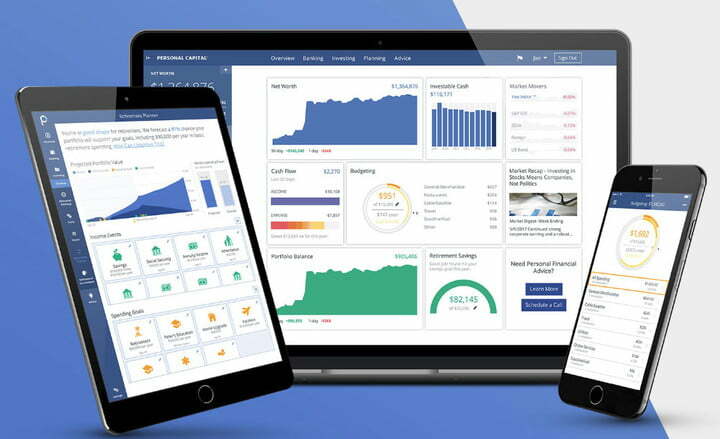 Where the standard options give you basic financial tracking functionality, the more expensive options can net you some great features, like paying bills right from within Quicken itself, as well as tracking the market value of major assets like your home. If you want to manage your business and personal finances through the application you can do that, too, with powerful tools like managing leases and deposits, tracking business expenses and incomes, and track outstanding bills and rental payments from your customers. There’s a reason Quicken has been around for so long. It’s comprehensive and is well integrated with companion tools used for keeping track of more than just personal finances. YNAB, or You Need a Budget, is specifically designed to help you become financially literate. 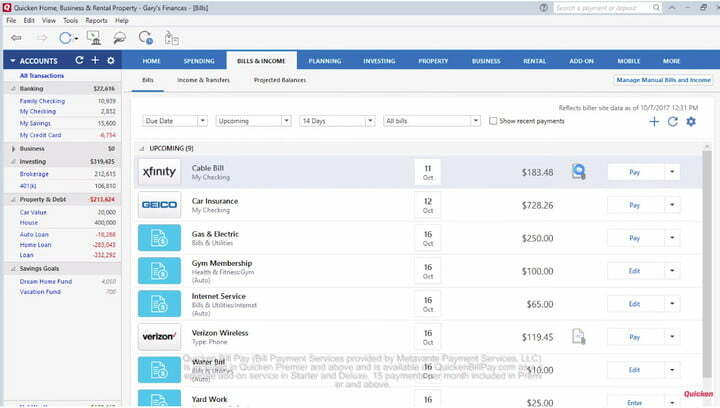 As the name implies, the software provides tutorials on a variety of different financial topics designed to help better understand your spending and budging habits. For instance, you can view tutorials specifically designed to help you live off of last month’s paycheck or “save money for a rainy day.” It’s valuable advice, especially when paired with laudable mobile apps that provide updated snapshots of your finances like the aforementioned Mint. Though the software doesn’t really go into depth about investments, given its primary task is to help users break the paycheck-to-paycheck cycle, it does automatically link to your bank account so you’ll never have to manually enter expense reports. It also categorizes your expenses — meaning you’ll always know before you go over budget. If you don’t like the look of the latest version, you can always make use of YNAB Classic instead. Personal Capital offers resources for both online users through its web tools and mobile users through its applications. Better yet, most of its features are entirely free. With just a quick sign up you can manage all of your accounts in one place including your mortgage and checking accounts, without having to jump around to different sites and services. Where Personal Capital really stands out is in financial advice If you have a portfolio of at least $100,000, it’ll manage it for as little as 0.89 percent. Its financial advisors will offer you suggestions for how to manage your money the best and as a fiduciary, it’s bound to act in your best interests. That advice covers your entire financial planning, from how to fund college courses, to building a stock portfolio, maximizing your interest through savings, and equity opportunities. For everyone else, Personal Capital offers solid personal finance tracking and investment plans, with rons of handy graphs and stats to help you stay on top of your money. Empower is a truly modern form of financial management that is entirely app based. With a combination of budgeting tools, tips on how to save, build credit, and cut down on your debt, it brings together all of your banking accounts in one location to make tracking everything that bit easier. One of the more intriguing aspects of Empower’s apps is that they can be integrated with cryptocurrency wallets. That way, you can trade and manage your cryptocurrency portfolio right alongside your fiat currency. With solid 256-bit encryption and multifactor authentication, Empower takes serious steps to protect your financial information whilst looking to build and manage your money as best you can. It even has financial coaching if you want a little bit more hands-on help. The only downside to it is that it’s U.S. only for now. With all of that serious financial talk out of the way, it’s time to celebrate. How about listening to some of the best songs about money?